SALE, usually £2.50 plus delivery. 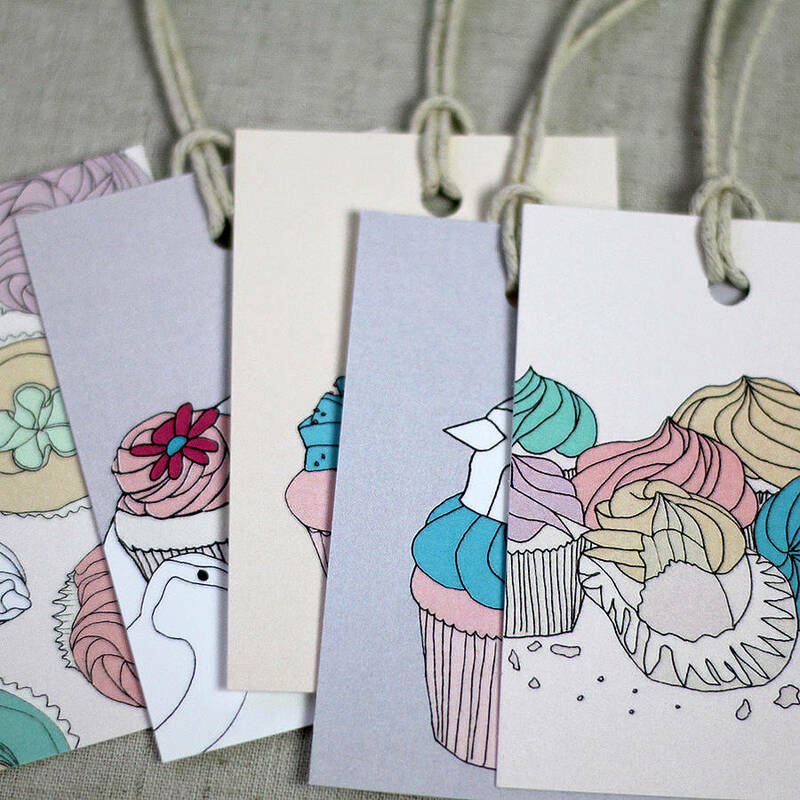 Set of five colourful gift tags with five different bird and cupcake designs. From the Yummy Treats design collection. 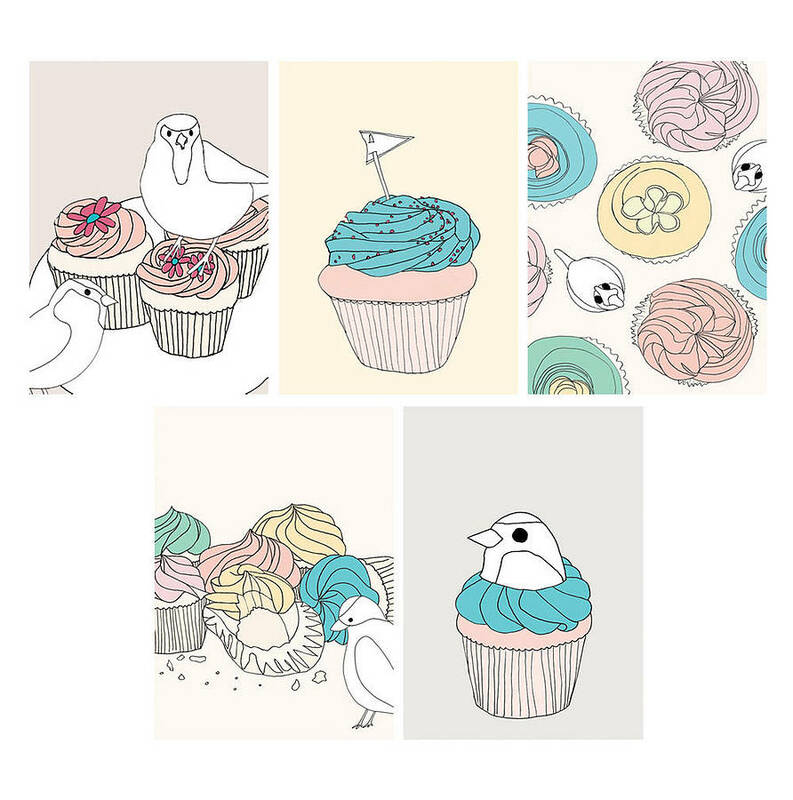 Eye-catching pastel coloured bird and cupcake designs that are perfect for gift wrapping. 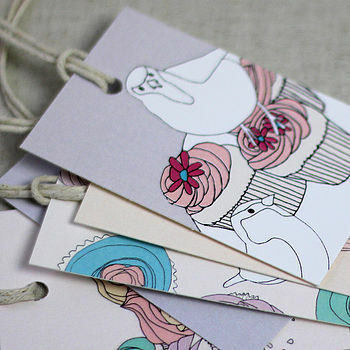 These tags will add some life to your gifts and no doubt impress. Reverse side is left blank for your own message. Each tag includes a detachable cotton tie. Designed and printed in England. Printed on thick 345gsm paper stock, with a beautiful matt finish. Chlorine free paper from sustainable forests.